All of the upscale shopping, fine dining and numerous theatres that downtown Ann Arbor has to offer...right at your fingertips! 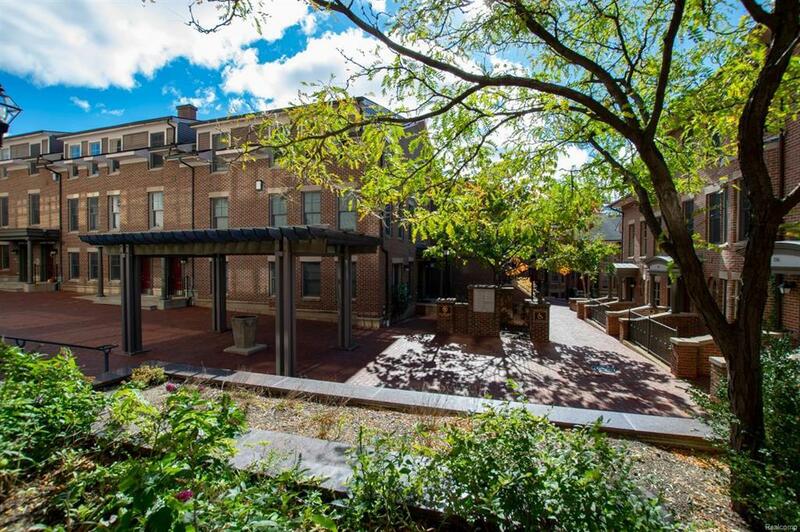 This centrally located Ashley Mews condo is also just minutes from The Big House making it the perfect place to gather with friends on game days. This unit boasts a spacious and bright living room with two-story ceiling, cherry hardwood floor, and cozy gas fireplace. The contemporary kitchen with corian counters, stainless steel appliances and cherry cabinets overlooks the living space - making it perfect for entertaining. Also on the first floor is a bedroom and full bath - plus a convenient laundry room. The top level features a generous loft space, full bath, and second bedroom. Detached one car garage and expansive storage area included. The association fee covers all exterior maintenance, landscaping, water, and snow removal. Schedule a showing today!